This is the final episode of the Grizzled Mountain Man and his trusty sidekick Sweaty Mess. 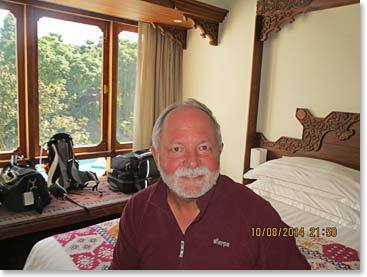 After finishing our trek when we past the gates of Lukla, we spent a quiet afternoon resting. 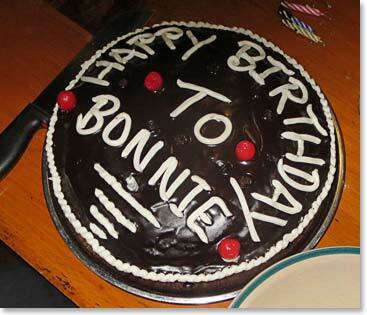 Last night was a big celebration with our guides for finishing this trek. This celebration also included a wonderful chocolate birthday cake for Sweaty Mess. Not a bad way to start a new year! This morning was the start of a new adventure. 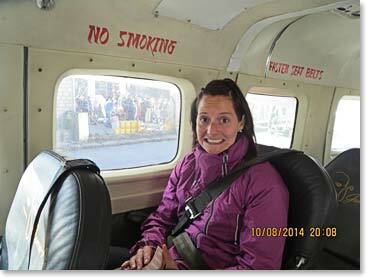 This would be the flight from Lukla to Kathmandu. Picture climbing onto a giant roller coaster, and that feeling you get while it cranks you to the top of the first drop. That is the feeling of taking off at the Lukla Airport. 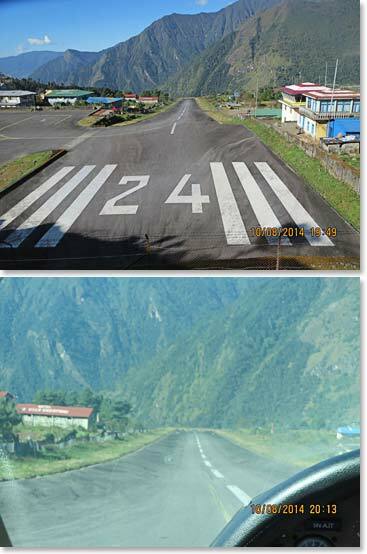 Please note, this is not a normal airstrip as the runway is actually at about a -10% grade with a cliff on one end and a mountain on the other. Our original flight had mechanical difficulties, but as our guides are wonderful, they managed to find a private plane...we did not really want to share with anyone anyway. 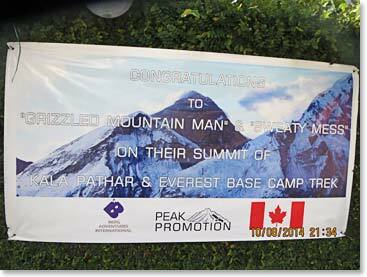 Upon arrive in Kathmandu at our 5 star hotel, there was a welcome sign for the "Grizzled Mountain Man" and "Sweaty Mess" congratulating us on our completed expedition. We have had a very restful afternoon of pool time and mojitos. The grizzled Mountain Man contemplated his transition back to the pudgy old guy, I will leave it a mystery if that actually took place. However, I can say that I am able to be around other people socially now as I am not such a Sweaty Mess.